Effective collection, management and analysis of data are crucial to the scientific discovery process. 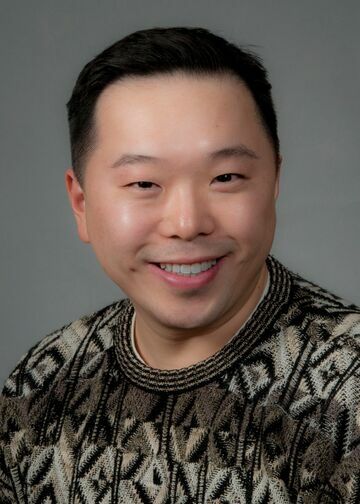 As an evolving data scientist armed with training in biostatistics, computer science and the classical sciences, Mr. Tsang develops web-based database driven applications that assist researchers in accomplishing their data management tasks for their large NIH funded multi-site clinical trials as well as their smaller single-site studies. Under the guidance of Dr. Martin Lesser, the Director of Biostatistics, Mr. Tsang also engages in the analysis of data using the latest statistical methodologies. Current projects that Mr. Tsang is involved with include the Udall Center Grant for Parkinson’s Disease Research, Dr. Bettie Steinberg’s Trial of Celecoxib Therapy for Recurrent Respiratory Papillomatosis, Dr. Adrianna Vlachos’s Leucine study with Transfusion-Dependent Diamond Blackfan Anemia (DBA), Dr. Manish Vira’s Prostate Cancer Registry and Dr. Betty Diamond’s study on Systemic Lupus Erythematosus. In addition, Mr. Tsang is actively working with the Office of Research Compliance (ORC) and the Clinical Research Service (CRS) in developing intelligent database systems that will assist in their day-to-day operations. Murray D, Hermida-Matsumoto, Buser CA, Tsang J, Sigal CT, Ben-Tal N, Honig B. Resh MD, Mclaughlin S. Electrostatics and the Membrane Association of Src: Theory and Experiment. Biochemistry,37:2145–2159, 1998. Hershlag A, Chung H, Tsang J, Lesser ML. The Wheel of Fortune: From Egg to Baby. Fertility and Sterility, 80(Suppl):S215-S216, September 2003. Madankumar R, Kenigsberg D, Brenner SH, Tsang J, Lesser ML. Clomiphene Citrate Induced Ovulation and Intrauterine Insemination – Effect of Timing of Human Chorionic Gonadotropin Injection in Relation to the Spontaneous LH Surge on Pregnancy Rates. Journal of Assisted Reproduction and Genetics, 22(4):155-159, April 2005. Markovitz J, Chung H, Tsang J, Lesser M, Hershlag A. Should all Infertile Patients be Treated? Fertility and Sterility 84 (Suppl):S430, September 2005. Kaufman MS, Radhakrishnan N, Roy R, Gecelter G, Tsang J, Thomas A, Nissel-Horowitz S, Mehrotra B. Influence of Palliative Surgical Resection on Overall Survival in Patients With Advanced Colorectal Cancer: A Retrospective Single Institutional Study. Colorectal Disease, 10(5):498-502, June 2008. Manu P, Napolitano B, Tsang J, Lesser ML, Correll C. Insulin-Sensitive Obesity in the United States: Findings from the National Health and Nutrition Examination Survey, 1999-2004”. Journal of General Internal Medicine, 23(Suppl):331, March 2008. Pellerito JS, Revzin MV, Tsang JC, Greben CR, Naidich JB. Doppler Sonographic Criteria for the Diagnosis of Inferior Mesenteric Artery Stenosis. Journal of Ultrasound and Medicine, 28:641-650, 2009. Manu P, Tsang J,Napolitano BA, Lesser ML, Correll CU. Predictors of Insulin Resistance in the Obese with Metabolic Syndrome. European Journal of Internal Medicine, 2010 Oct:21(5):409-13.Epub 2010 Jul 1. Manu P, Ionescu-Tirgoviste C, Tsang J,Napolitano BA, Lesser ML, Correll CU. Dysmetabolic Signals in “Metabolically Healthy” Obesity. Obesity Research and Clinical Practice. 2012 Jan;6(1):e9-e20. Hershlag A, Chung H, Tsang J, Lesser ML. The Wheel of Fortune: Egg to Baby. Presented at Annual Meeting of the American Society for Reproductive Medicine, San Antonio, Texas, October 2003. Waldron R, Tsang J, et al. Refusals of Medical Aid in the Prehospital Setting. Accepted for presentation at the 2009 American College of Emergency Physicians Research Forum, Boston, Massachusetts, October 5-6, 2009.